I've had these lurking in my "to review box" for a while so I gave them a whirl on a swatch wheel. Boy was I pleased (and surprised!) I randomly decided to give them a whirl. There is no secret that I adore glitter polishes, at least 99% of the time I wear some form of glitter nail polish and I have a ridiculous amount of them in my collection. 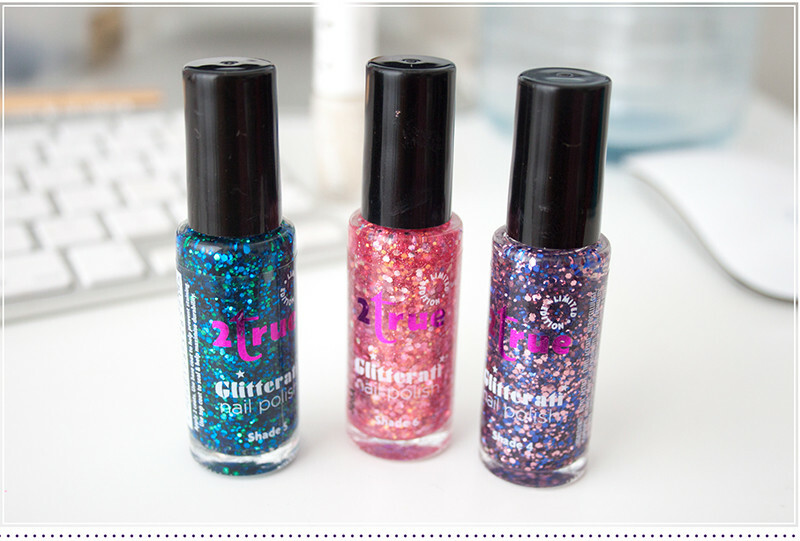 Im constantly looking for new ones but generally feel drugstore offerings off glitter polish is generic and always look the same. However these are actually a bit different from the shades I already own so these slip perfectly into my collection. 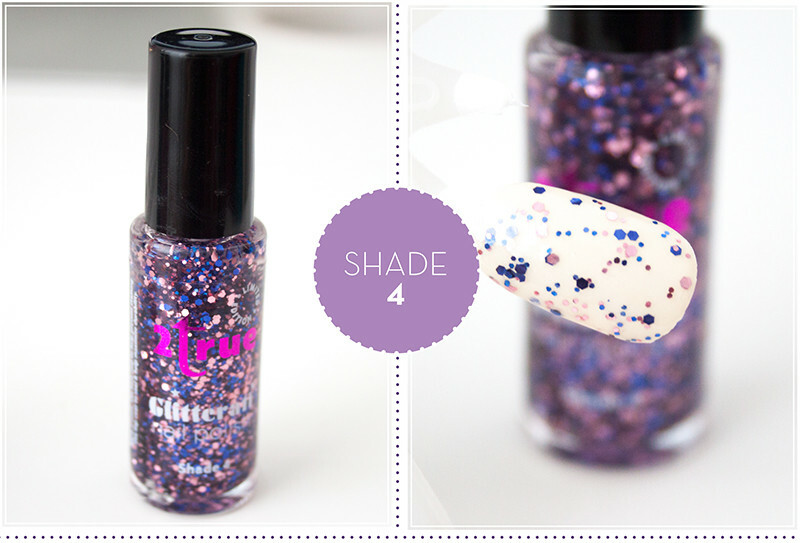 Shade 4 is a pretty purple inspired glitter polish with lilac and darker purple glitter particles in two sizes suspended in a clear base. I adore Shade 4, it's probably my favourite from these three. I can imagine it looking awesome with Essie Fiji or Models Own Utopia. 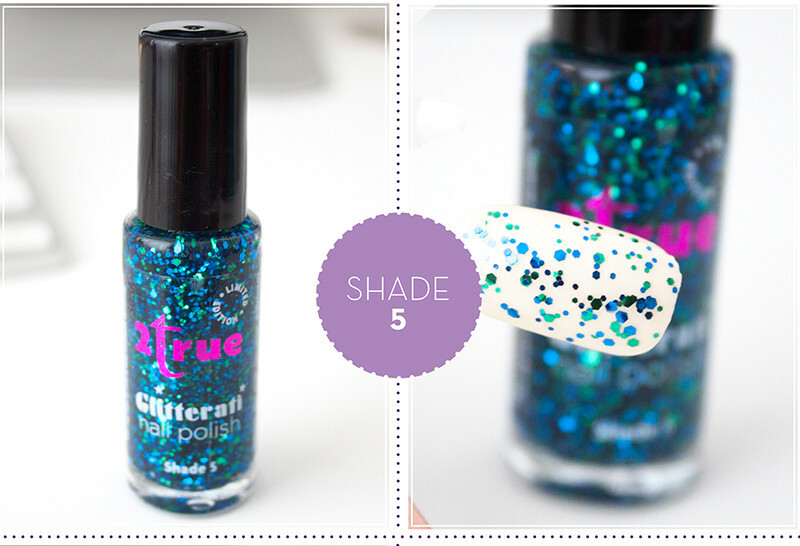 Shade 5 is very similar, a clear base with two sizes of green and blue glitter in. 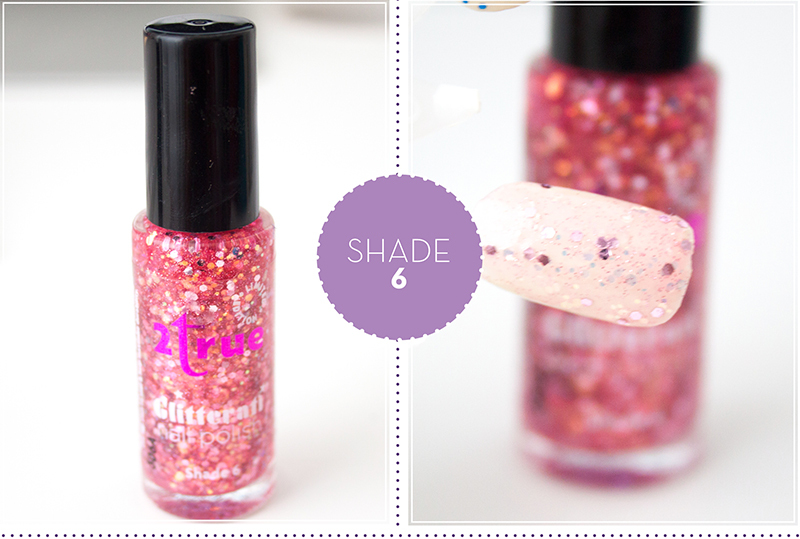 Shade 6 is slightly different as it has a hint of pink going through the base polish so it tints the shade layered underneath a bit, and the two coloured glitters of this one are pink and iridescent gold. 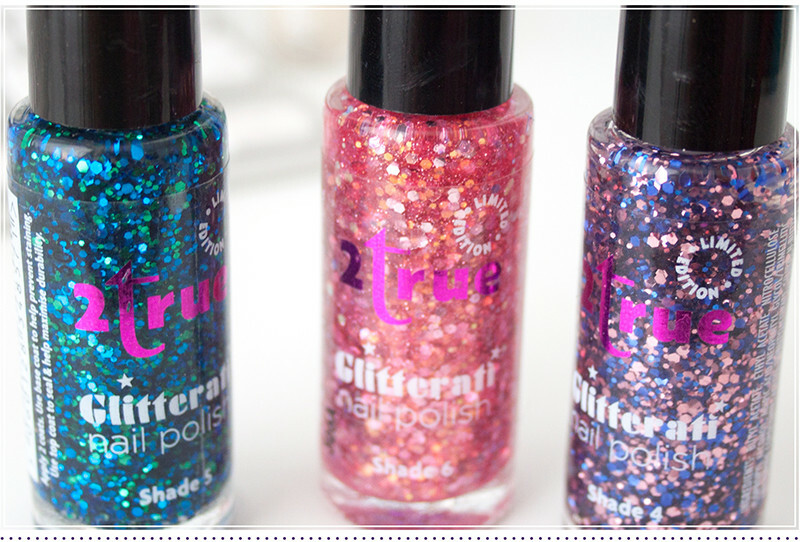 At a budget friendly £1.99 these are excellent polishes and arent going to break the bank. 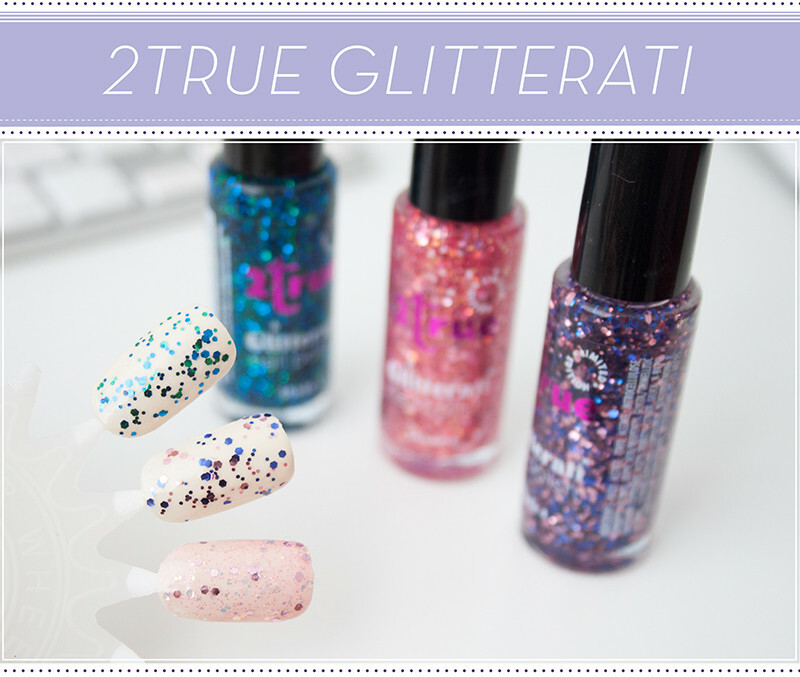 I actually think 2 True is typically on 3 for £5 at Superdrug. I really adore the purple one and the way it looks layered over the lighter shade I picked. Like all the 2True I've tried in the past (I've swatched up a ton of them here), they havent let me down and are a wonderful cheap range of polishes that do the job. 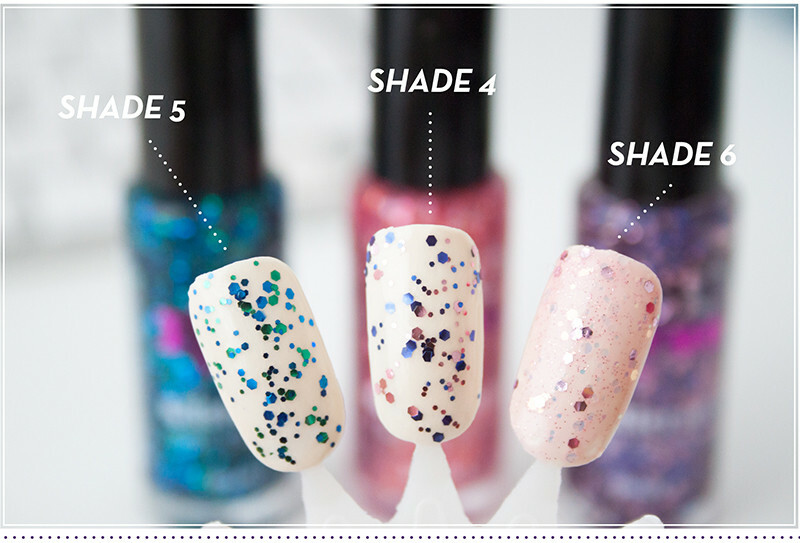 It's a shame they don't have actual names, Shade 5 isn't the most inspiring name for a polish, but gosh it looks bloomin' lovely!